Who Cares If Speaking Out on #MeToo Helps a Celebrity's Brand? 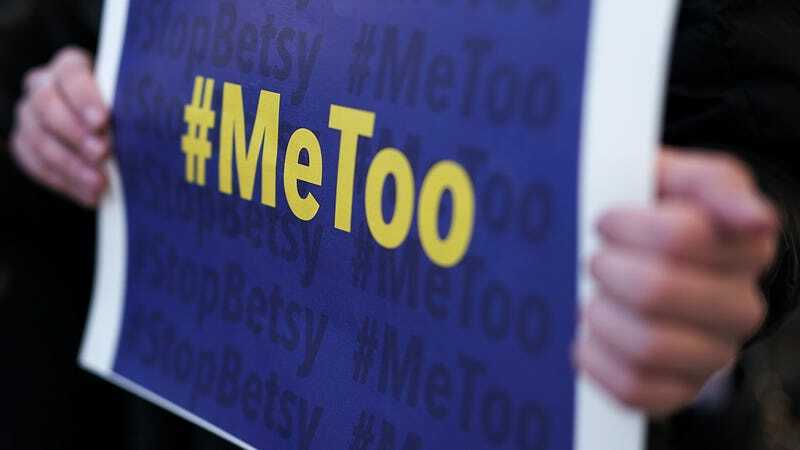 A new study has found that speaking out on #MeToo can be good for a celebrity’s brand, which feels kind of weird and not the point! Celebrity data company Spotted found that about 50 percent of media consumers viewed celebrities as more trustworthy after hearing their #MeToo “story” or learning about how they’d gotten involved in the greater movement to broaden awareness of sexual harassment and assault, Digiday reports. The study also asked consumers about how they felt about seeing celebrities engage with mental health issues, LGBTQ issues, and scandals. On the one hand, it is heartening to see people find celebrities more trustworthy after coming forward about their experiences with sexual harassment and assualt as victims are often doubted upon doing so. But framing #MeToo in terms of its branding and marketability potential, not to mention the phrase “overt #MeToo brand activation,” makes me want to butterfly kiss that dead rat I saw stuck to a sheet of fly paper lying on top of a discarded mattress on the way to the G train. What Will We Wear for the Resistance?